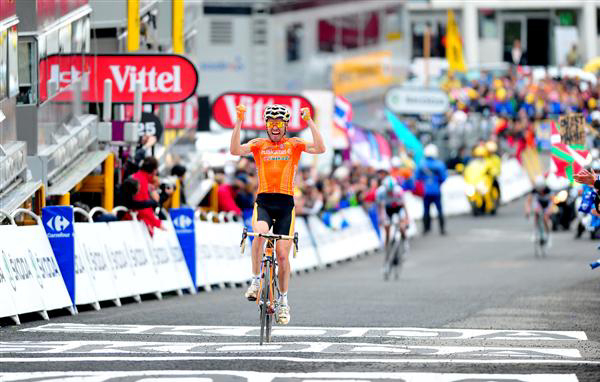 Samuel Sanchez wins stage 12. 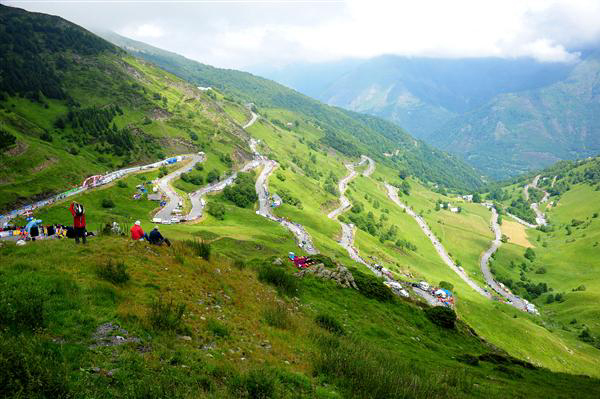 Jelle Vanendert and Frank Schleck can be seen in the distance. 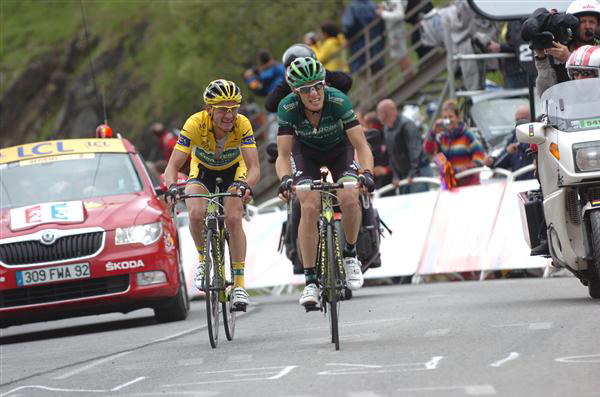 Ivan Basso leads Andy Schleck and Cadel Evans to the finish line. 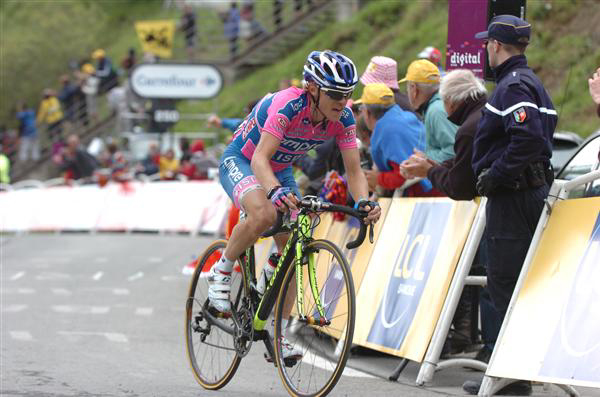 Damiano Cunego did a terrific ride today. 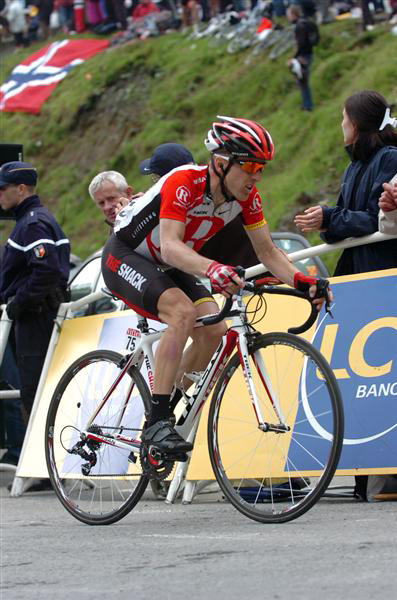 Alberto Contador could not respond to the Schleck's attacks. 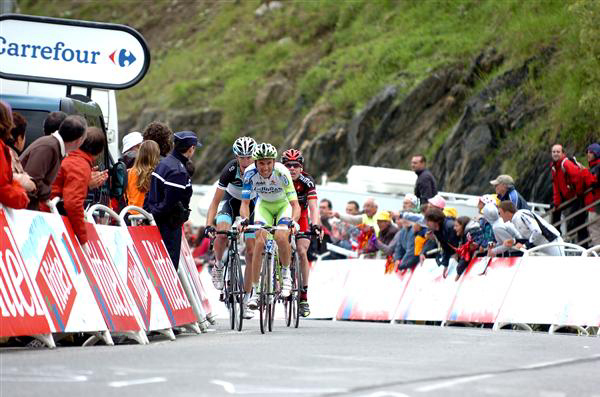 Pierre Rolland paces Thomas Voeckler to the finish. Tom Danielson finished a credible 11th. 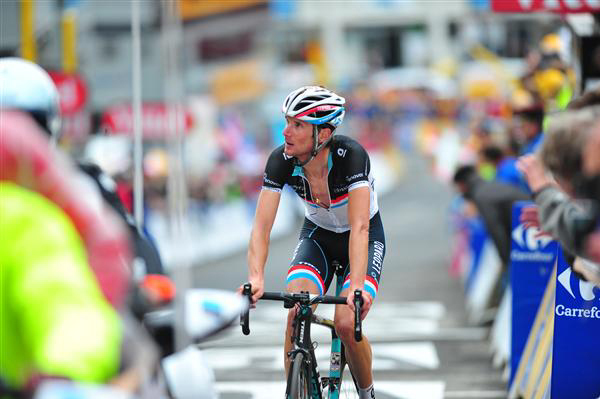 Levi Leipheimer has had a rough start to this year's Tour. He's down almost 8 minutes now. 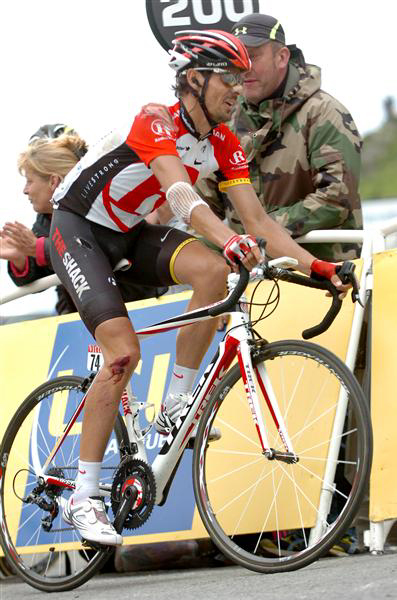 Andreas sports the wounds from a crash.